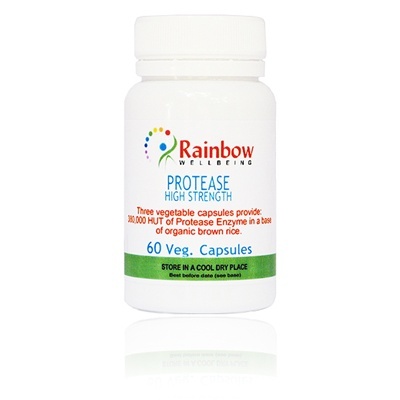 "Protease is responsible for digesting proteins in your food, which is probably one of the most difficult substances to metabolize. Because of this, protease is considered to be one of the most important enzymes that we have. If the digestive process is incomplete, undigested protein can wind up in your circulatory system, as well as in other parts of your body. One of the tricks of an invading organism is to wrap itself in a large protein shell that the body would view as being 'normal'. Large amounts of protease can help to remove this protein shell, and allow the body's defense mechanisms can go into action. With the protective barrier down, your immune system can step in and destroy the invading organism. Proteolytic enzymes are very important in digestion as they breakdown the protein foods to liberate the amino acids needed by the body. Additionally, proteolytic enzymes have been used for a long time in various forms of therapy. Their use in medicine is gaining more and more attention as several clinical studies are indicating their benefits in oncology, inflammatory conditions, blood rheology control, and immune regulation." Take 3 vegetable capsules a day with food.